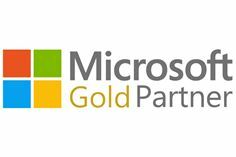 4th September 2018, London, UK – Dubai, UAE – Luxembourg: Halian, the leading international IT services provider, has announced that it has attained Microsoft’s Gold Partner status in two competencies, Cloud Platform and Datacenter, demonstrating its expertise in creating value added and innovative services for its customer base using Microsoft technologies. Halian’s expertise in the Azure platform opens up further opportunity for customers to modernize their infrastructures, migrate applications and data, and build better analytics in the cloud. Gold Partner status in datacenter also recognizes Halian’s depth of knowledge in transformative datacenter services, creating scalable and cost-effective solutions for clients. Halian is an international IT services company founded in 1996, specializing in managed services, resourcing and projects. Its approach is to partner with clients for the long term while delivering results rapidly and with agility. Based in 5 countries across the UK and EMEA, Halian employs over 500 staff with an enormous range of IT expertise and practical experience. Its customers include international organizations in pharmaceutical, healthcare IT, financial services and government sectors.